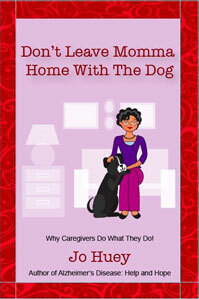 “Don’t Leave Momma Home With The Dog” is a caregiving book that is part memoir, part motivational manual. In this book, Jo Huey chronicles her experiences caring for her mother, including how she made the tough decision to move her to a long-term care facility. Quantity discounts are available and will be reflected in cart upon check out. Communication tool the Ten Absolutes provides Ten Simple Solutions for Caregivers of persons with Alzheimer’s or a related dementia. 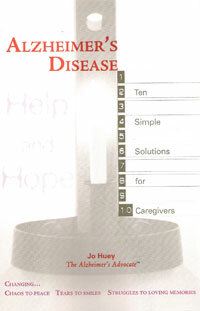 Book contains an easy to understand overview of the disease process. Familiar vignettes are used as a model for caregivers to reevaluate everyday stressors and to provide the means to complete impossible tasks.